Description: From 1 to 2 feet tall. 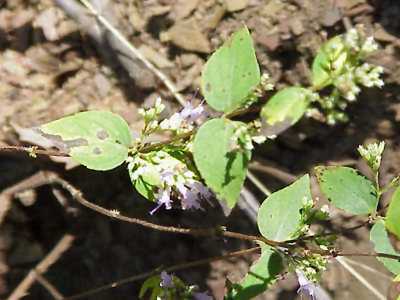 Leaves are ovate, with entire or occasionally shallow toothed margin; the longest ones are about 1.5 inches. 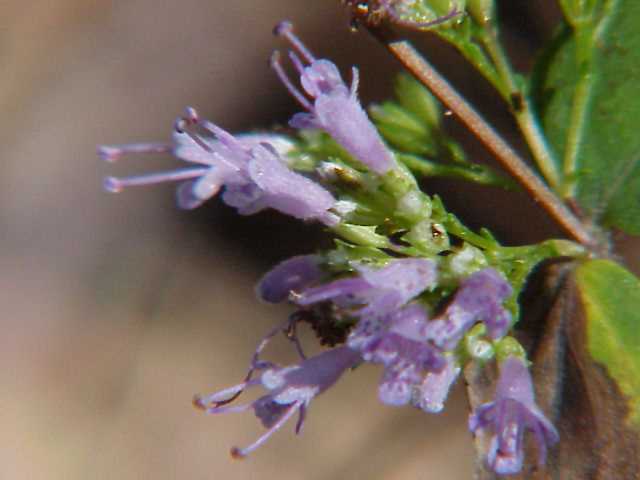 The numerous flowers are borne in dense terminal clusters; they are about 1/3 inch long and colored pale magenta, lavender or sometimes white. A perennial long horizontal root stalk carries carries this herbaceous plant through the winter.